Rotterdam is Europe’s largest harbour city, and one of the Netherlands’ most picturesque. Hilton Rotterdam is located in the heart of Rotterdam near Hofplein Square and its impressive fountain designed by Cor Van Kralingen. This 4 star hotel offers modern stylish accommodation in a convenient central location. All 254 rooms and suites have recently been fully refurbished in a contemporary style with a harmonious colour palette. 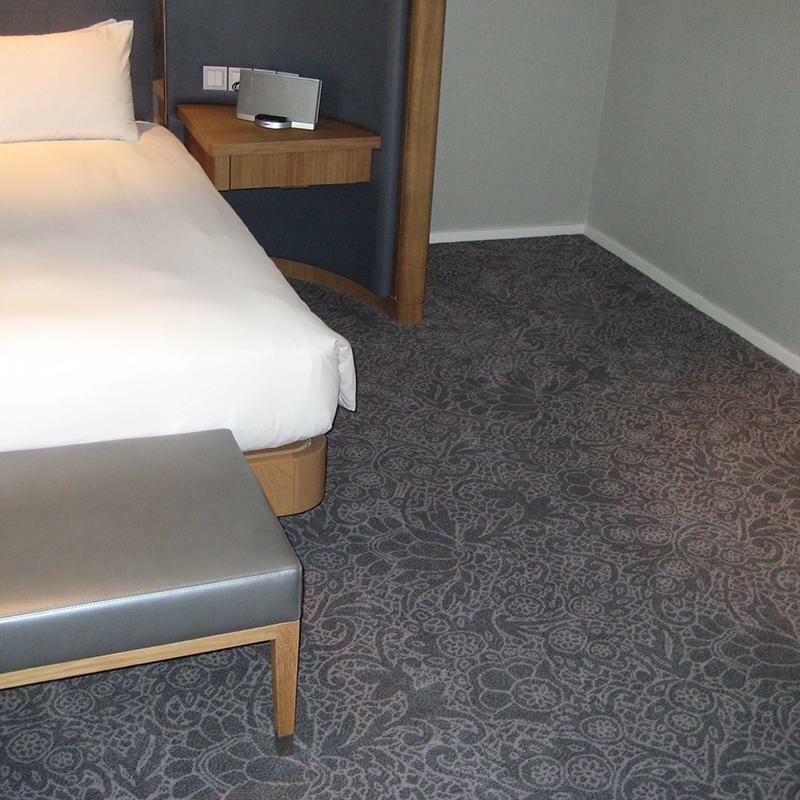 Brintons worked closely with RPW Design to develop carpets for the hotels' guest rooms and suites. 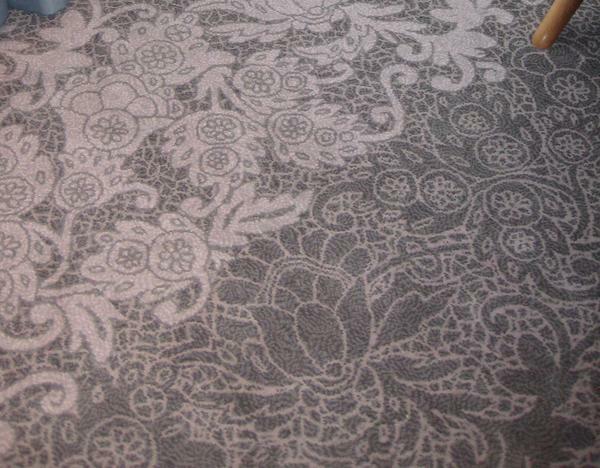 The design was developed from original intricate lace patterns and gives a truly stunning result . 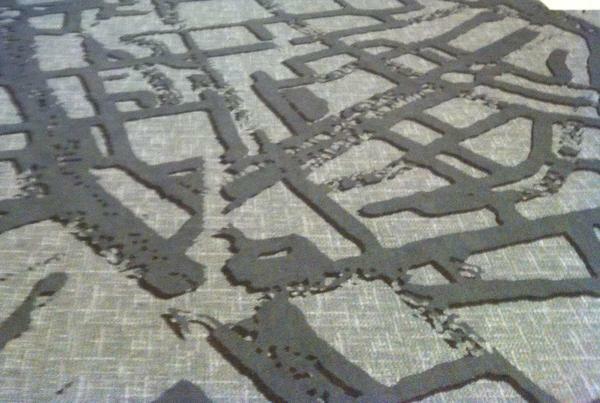 Brintons also worked closely with Kate Mitchell to create a striking design for the hotel corridors. The design inspiration came from birds-eye view photographs of metal container units used to transport goods on ships which formed geometric rectangular shapes. 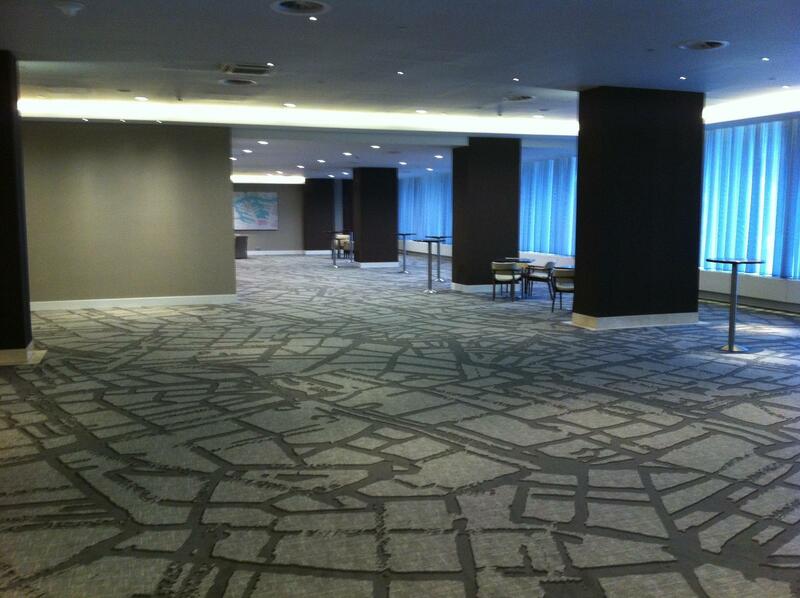 The Le Jardin/ entrance lobby carpet design has been developed from maps of Rotterdam streets, which has then been refined and developed into a geometric pattern for the function and meeting rooms. 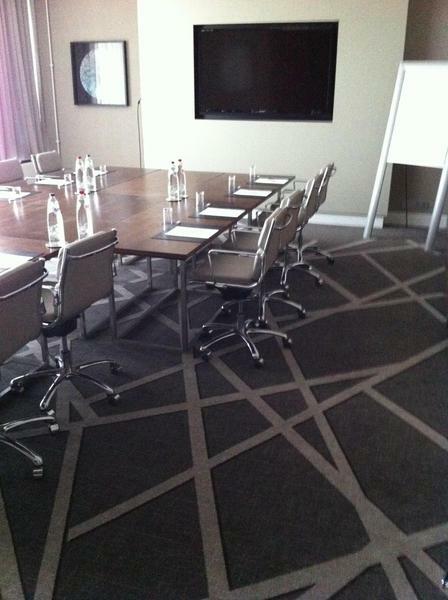 It is amazing how a new design with small changes like no straight lines in the pattern of the carpet, can change a function or bed room. 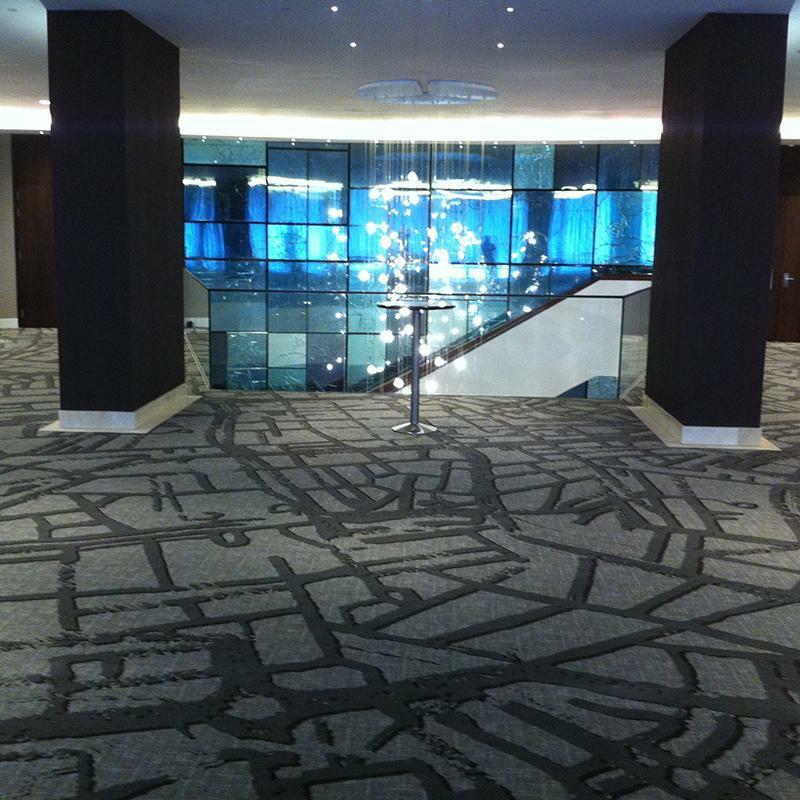 It gives a totally different feel to an entire floor.